Last week, in an effort to increase awareness around Critical Mass’ SxSW submissions, we hosted five days of Twitter chats. Each Critical Mass entry had its own chat. It was a great experience interacting with some top minds, sharing ideas and taking a critical look at the digital and social landscape from different perspectives – all on Twitter. From the Move Beyond the Check-In: Making Events Truly Social Twitter chat, there were some interesting themes that came up. Privacy is still a major concern with location-based services. Especially when it comes to integrating LBS into existing social networks. Check-in and consumer loyalty are not always synonymous. Incentives are still top-of-mind with consumers and marketers as a method to engage consumers. Layered incentives or achievements can motivate consumer retention. Gamification is another method still being considered or employed for consumer retention. Marketers sometimes find it difficult to move beyond the incentive and game when engaging audiences at events. Engagement at events with the event itself or crowd, could be a viable next step after incentives; curating real-time relationships. So, to grow this conversation even further, how can we as marketers, move beyond the incentive and using technology, engage the consumer at events with real-time value and long term experiences? Thank you to everyone who participated in the Twitter chat with me and Critical Mass! You all were great, highly engaged and provided incredible insights into event-based marketing! Below (after the fold) is the Twitter chat, formatted for your reference. Please don’t forget to vote (Friday, September 2nd) is the last day to vote! A while back, I first viewed Amon Tobin’s new stage for his ISAM tour. It was an illuminating and innovative experience to view online. Yes, I am going to see him when he comes to Chicago in October to experience the projection mapping for myself. Yet, when I viewed it, I knew that it was so powerful and could not go unnoticed. I tweeted the video and got some amazing responses. One of the responses was from @mrrylln from our London office. This guy, is an amazing creative and witnessed the show himself out in the UK. He brought an amazing idea to the table. 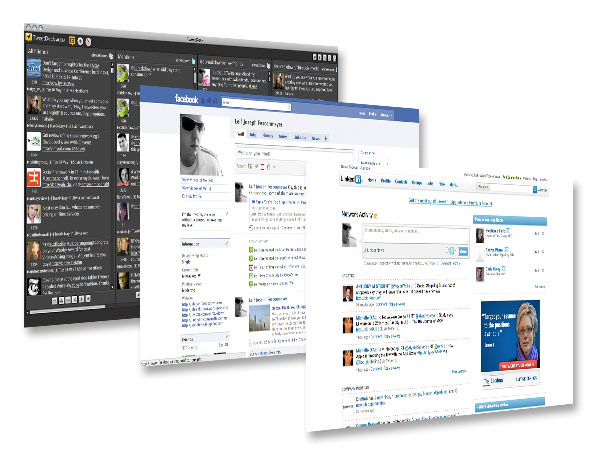 It was simple, how can you integrate social into something like that? Well, that got me thinking. I wasn’t just thinking about projection mapping and social media, but events and social media with innovative technologies. We are reaching a period where users are starting to engage themselves with brands and locations rather than the other way around. How do we tap into that advocate power being marketers? These users who are checking into venues and are leaving comments about the experiences and by extension, building brand awareness for us. Now, my question is, how do we take that check-in and make it worth something to the consumer? Well, it has to be valuable to the consumer, it has to be innovative to leave a mark, and it has to be engaging. I think that we have become pigeonholed into the simple check-in in social media. Check in here, then you get this. Incentive based check-ins have their place in the social ecosystem, but not to the point of consumer retention. Another question is, can you buy friends, can you buy loyalty? The answer is no, you cannot buy loyalty. Loyalty, like trust, has to be earned and brands are not exempt from that. So, let’s push this forward a bit. Let’s move beyond the check-in and beyond a simple incentive. Real-time engagement is the key; real-time engagement through innovative technologies. Let’s think of a concert. There is a band on stage and you have checked into the venue and that’s about it. You told your friends, both online and offline that you are there. Where is the engagement by the band? Perhaps they have a tweet to screen or a photo-to-screen technology set up? What if the band allowed you to vote during the show, via LBS, what the set-line up should be? And, what if, after the show, those who participated got the concert for free as a download? What if then, the band asked you to rate the show and share your experience or if the set line up worked? Or, what if the same type of line up occurred in Europe, from others voting and the band let you know after the fact? This is the type of real-time engagement I’m talking about here; taking the check-in by a consumer and doing something with it. Recently, Foursquare announced they are offering event check-ins along with their location check-ins. Instead of checking into a concert venue, you are checking into the concert itself. This change was created by Foursquare after they observed all the check-ins by their users and noticed they were commenting on the event and not the location. This idea is brilliant and the next level of where event based social needs to go. 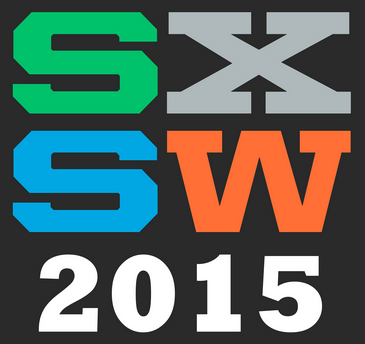 I submitted a SxSW panel topic called, Move Beyond the Check-in: Making Events Truly Social. This is line of thinking is what I will, hopefully, be presenting at SxSW 2012. I will be exploring new trends, technologies, consumer behaviors and ideas in event based marketing. This is the new frontier. We, as marketers, need to take this relationship that the consumers form with the brands, onsite to online. We, as marketers, need to engage these consumers on behalf of the brand in innovative ways through technologies that offer value and excitement to the consumer. We, as marketers, need to retain the consumer long after the event is over. These consumers who are checking into events are the advocates that all brands are looking for, and we need to welcome them with open arms into the social community. I have some wonderfully smart and creative people joining me on this panel from all over the industry. Vice President of Social Media, Heidi Skinner from Critical Mass will offer her unique insights into consumer loyalties and new technologies. 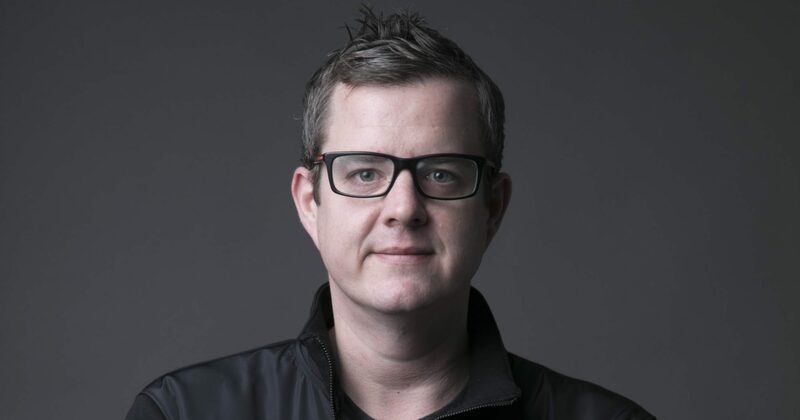 Chief Creative Officer, Joe Sutter from GMR Marketing will bring his unparalleled experience in event-based marketing to the panel. And, Siobhan Quinn who is one of the original Product Managers at Forusquare. Her experience in location-based service is unquestionable. PS: A few others from Critical Mass have also submitted entries to SxSW and I invite you to check them out. Workshop and interactive “confessional booth” including moderators for Converse, Peanuts, Humana and Aveda. Panel, led by CM’s VP of Marketing Science, Shaina Boone, with contributions from the Chief Privacy Officer of Adobe and CEO of Next Stage Revolution. Dual presentation from CM’s VP of Social Media, Heidi Skinner, and Social Commerce Today editor, Paul Mardsen. Panel, prototyping contest and demo led by CM’s SVP Executive Technology Director, Scott Ross. There has been a lot of negative press lately regarding Facebook and their institution of Open Graph and their changes to privacy. People seem to be in an uproar over Facebook messing with “their” information and privacy even to the point of users deleting their Facebook account and writing their opinions on blogs. Let me be clear, this post is not one of those “How to delete your Facebook account” or a “Facebook privacy damages users” posts. I’m writing this post to inform you of my reasons and rationalizations for KEEPING my Facebook account. Open Graph is a good thing. There, I said it. I agree with Zuckerberg when he said this is a new way to build communities, measure influence, meet new people and bring the world closer together. I believe Open Graph is just the tip of the social media 2.0 iceberg. What you are going to see in the coming year(s) is more integration of sites. I personally want that. I know that some of my interests will be made public, but only interests I decide to post. I have done my due diligence and education of privacy settings on Facebook. I understand how to limit the flow of information on my profile to other users, corporations and the public. Since I understand that, I’m fine with the adjustment to the settings because I understand them. In the social networking landscape, it’s a little unreasonable to have a 100% expectation of privacy. Zuckerberg also said it best, if you don’t like it, leave. It’s a little brash, I know, but it makes sense. Facebook profiles are not owned by the users, the users borrow space on Facebook’s servers. —> Sidebar: However, I do get discouraged when Facebook has bugs and makes mistakes when it comes to privacy. An example would be when you could view other user’s chats. That is unacceptable, but was immediately remedied. Facebook is a very valuable tool when it comes to networking. I am a social media guy, this is my job and a little bit of my life. For me to do away with a major social networking site would be an idiotic decision. Plus, I like meeting new people, learning what we have in common and finding out information from brands. Like I said in #3, social networking is my job. I have to be on there. Facebook has a massive, MASSIVE flow of information running through it. It’s easy to keep up on current events, what your friends are doing, where they go, what businesses are doing, where the next networking event is, etc. I’m a sucker for information, I always want more. If you use it properly, it’s great way to promote a business or yourself. Being on Facebook adds to my search engine results. I enjoy the fact that my friends are on there sharing what they are doing day-to-day. I know this may sound a bit over the top, but in all seriousness, being on Facebook isn’t a bad thing. The change in privacy isn’t a bad thing. The introduction of Open Graph isn’t a bad thing. Ignorance breeds malcontent. I’m sure that once some users do their due-diligence on understanding how to use the Facebook privacy settings and what Open Graph really is, like I have, opinions may change. 400+ million users on Facebook and 100+ million users on Twitter, social networking is becoming more prominent and more invasive. This medium has grown so quickly and we’re all eager and willing to pick up the technology and use it. Some of us, whether it be inherently or actually spelled out, set up rules for ourselves, our brands, that we adhere to when it comes to posting. I have always had a set of posting rules in place for my social presence. The rules were always just in my head. So, I decided to spell them out for you to see if you agree with them or not, or just to inform you what you will not see from me. I am a fairly political person. I enjoy having critical discussions on the nature of government and social change with my friends and family. I make an effort to respect the opinions of others and enjoy learning new points of view. However, I will not speak/post about any sort of political subject on Twitter, Facebook or LinkedIn. It’s not beneficial to me. Plus, that’s not what I’m all about. I’m a designer, social media guru, music and art lover. Those subjects are what I post about. Talking politics has become such an intense practice, especially as of late. It polarizes people, it alienates opinions and encourages confrontation. That’s not what I am about. I encourage opinions, knowledge and engagement. I see no real benefit to post about politics unless you want to get into an argument; and I don’t want to do that. Oh boy, this topic is just as polarizing and intense as politics. I am a spiritual person, and that is probably the last you’ll hear of it. I respect other people’s beliefs by not speaking about beliefs. Social networking tends to be a “happy” place. From what I’ve noticed in the 5+ years I’ve been on social networking sites, is that the environment promotes positivity. No one likes an angry person, so no one likes an angry extension of person. I’m not saying I won’t be critical, I’m saying that you can be critical without being negative. No fights, no swearing and no alienating other users. Yes, I check in on Foursquare at the venues I go to (not all of them though). I inform my followers of the networking events I attend. However, I believe a disconnect from social networking sometimes is needed (at least for myself). I don’t think that everyone needs to know about all of my adventures when I’m out and about, nor do they probably want to read it. So, with that said, certain times I don’t bring up what I’m doing, where I am or who I am with. It’s nice to unplug a bit and it’s certainly great to keep some adventures for yourself. Please RT me. Do you need design services? Do you need social media services? I don’t like to receive these via Direct Message or via spam bots. I’m sure that if people want those services from anyone, they’ll do their due diligence and find out the companies with the right fit. I do like to promote my blog content and stuff, that’s just because I think it’s a good read. But you won’t find me trying to pitch you my services. I know, that may sound like I’m not a good marketer, but that’s not what my accounts are set up to do. Why do you want to go to Facebook and read something that is on Twitter, or vice versa? The content that I choose to push through my tied in accounts are pushed through for a reason. Not just to post something, but to post something of substance. The use of linked and feed accounts are only for ease of use and workflow, not to just push content. When I post something, and a user replies, you’ll be sure that I’ll reply to it. There is always a reason behind my madness. This is a big one! We all have concerns over our privacy. If you want users to respect your privacy, respect theirs. Posting of photos that I wouldn’t want posted of me, retweeting protected users, and handing out contact information are all against my rules. Granted, I may break this rule from time to time, but rest assured it was not on purpose and I try to make sure if/what I post about others is vetted by that user first. Keep in mind that we all are fallible. Yes, these are my rules and rules are sometimes broken by mistake. So, let’s just say I try my best to adhere to these guidelines.